Monrovia Subaru Repair and Service - Seiko's Auto Service Inc.
Purchasing a Subaru vehicle means that you care a good deal about design and engineering enough that you want a brand for which "peace of mind" is practically synonymous. Seiko's Auto Service of Monrovia, CA is the place where confidence in construction meets stellar service. 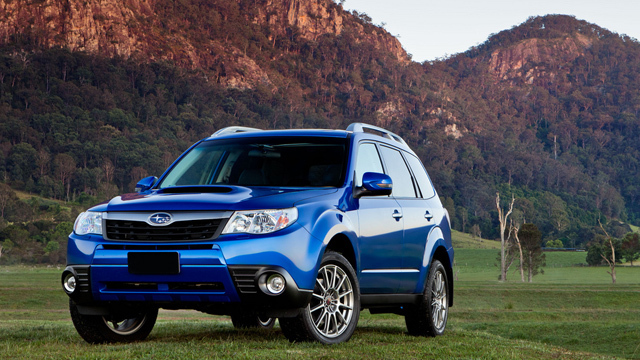 We specialize in Subaru vehicle service, maintenance, and repair—shouldn't you demand that from your local auto shop? When you're ready to take your car in for regular maintenance, or even emergency repair, you've got to call us at (626) 239-1793. You can also make an appointment through our website's Contact Us. Subaru owners need a dedicated auto shop on their side to make sure that their vehicle lasts for as long as it was designed to last. When you invest a lot of time in researching your choices and money to purchase the vehicle you choose, you want to make sure that investment is protected. We specialize in Subaru vehicles not just because we love them but because there just aren't enough shops in California that do. Meanwhile, at Seiko's Auto Service, you get a dedicated team of certified technicians taking care of your Subaru. Our team is experienced with all of the various Subaru models, including the BRZ, Tribeca, Outback, XV Crosstrek, Impreza, Impreza WRX, Legacy, and Forester. If you're a local customer, we'll even pick you up and drop you off when you bring your car in for service or repairs. No matter what kind of maintenance or service you need, count on the Seiko's Auto Service team to be up to the task. You can reach us at (626) 239-1793, or through our website's convenient Contact Us.